Ships tomorrow if you order in the next 23 hours 1 minutes. 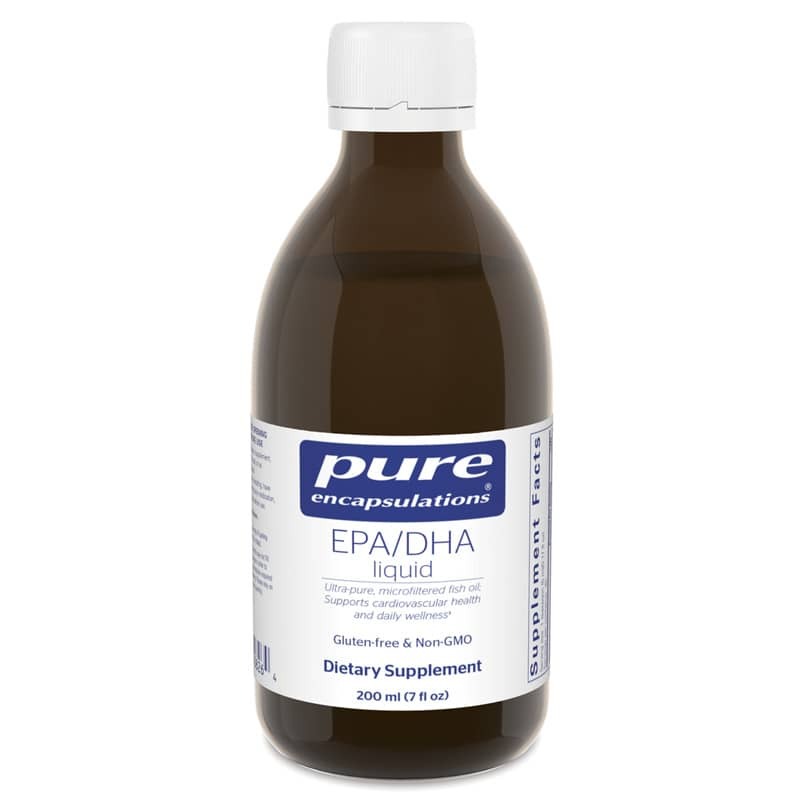 EPA/DHA liquid is an ultra-pure, molecularly distilled fish oil concentrate that has been tested for environmental contaminants (heavy metals, PCBs, dioxins and furans), microbial contaminants, and oxidation and rancidity. Each product contains well below the strict limits for these criteria as established by the Council for Responsible Nutrition (CRN), Europea Pharmacoepeia (EP) and U.S. Pharmacoepeia (USP). Other Ingredients: natural lemon flavor, proprietary antioxidant blend (rosemary extract, ascorbyl palmitate, natural tocopherols). Children ages 4 to 11: As a dietary supplement, take 1/2 teaspoon per day, with or between meals. Ages 12 and up: As a dietary supplement, take 1 teaspoon per day, with or between meals.